The ancient Minoan civilization on Crete was one of the first to create a functional sewer system, but you'll be staying above ground in the fresh air on this eight-day itinerary for the whole family. 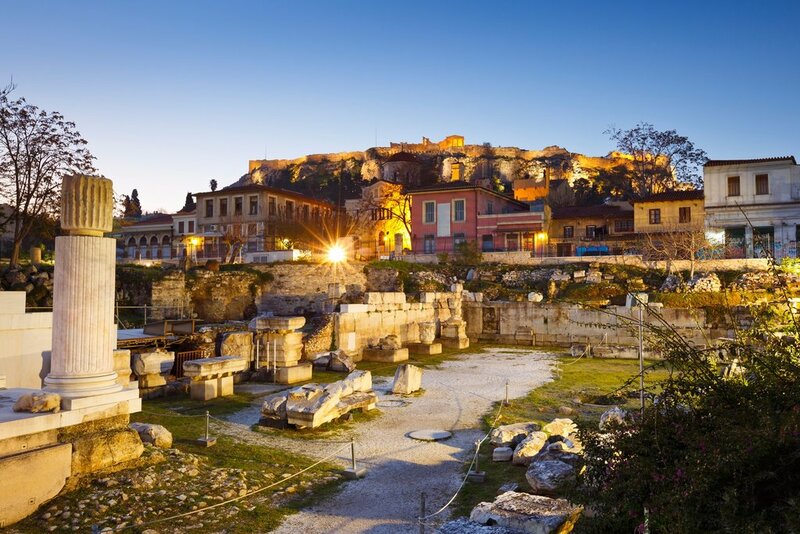 After a tour of the mythology of Athens, you'll fly to Crete for six days of hiking, beaches, and city tours that will transport you through history. Experience the ancient stories surrounding you with today's guided mythology tour. 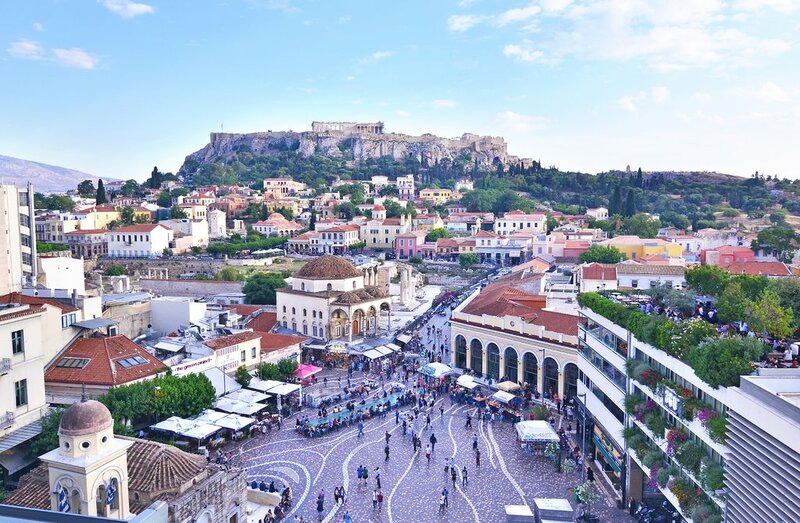 You'll meet your guide and storyteller at the Temple of Olympian Zeus, then head to landmarks around the city including the Acropolis, ancient cemetery at Kerameikos, and the Agora. The myths that founded the city and are featured in its retellings for generations will accompany as you go, with stories of Zeus, Athena, Poseidon, Dionysus, and more. Hear both the stories themselves and the historic facts behind them, adding resonance to the archaeological ruins you will visit during this four-hour tour. Make your way over to explore the Acropolis Museum on your own after your tour (or join a guide if you'd prefer). Named one of the ten best museums in the world by National Geographic, this modern museum houses a multitude of artifacts removed from the hill of the Acropolis for safekeeping to provide insight into ancient religious practices and daily life. Linger for lunch in the museum's cafe, with views of the artifacts' former hilltop home. As night falls, you may be able to visit the Athens Observatory to learn about the constellations overhead and take a look through the telescope. Its hours vary seasonally and by day of the week. 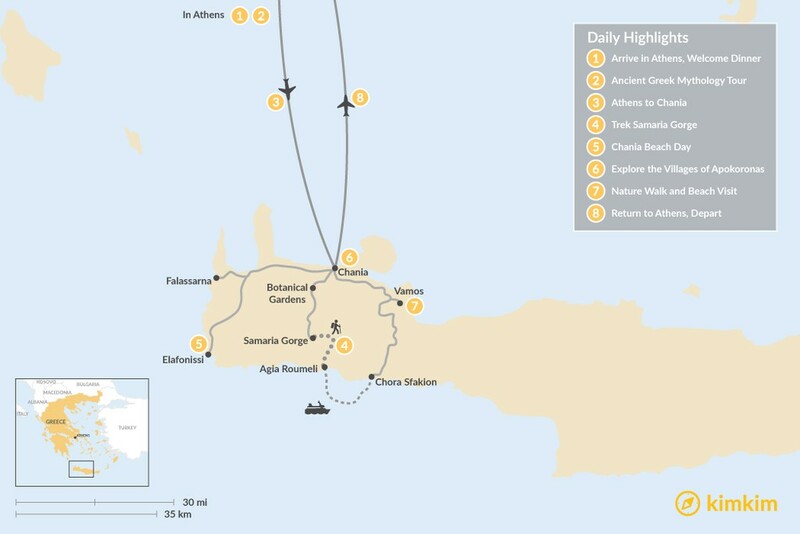 Your short flight today will take you to Crete, the largest and most populous of the 230 inhabited Greek islands. 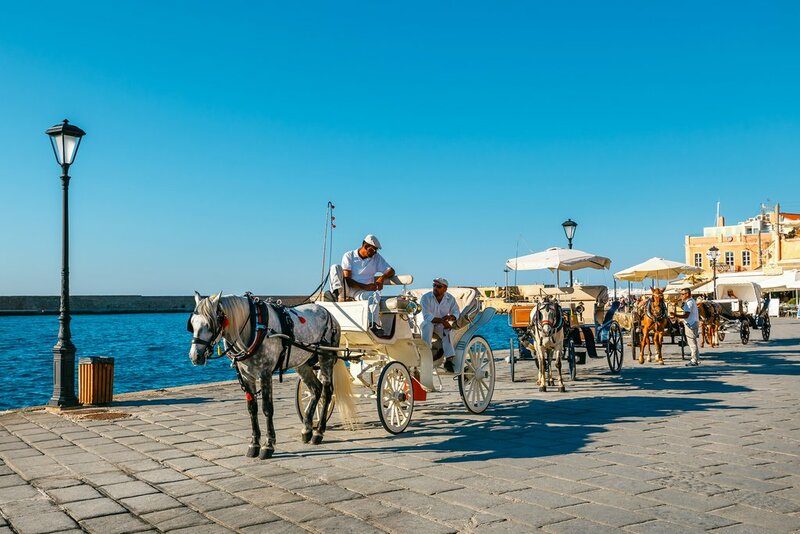 Upon arrival to Chania, a city (and region) on the northwest coast, you'll be transferred to your hotel as you get ready to explore this stunning island, equipped with tips from your local specialist. 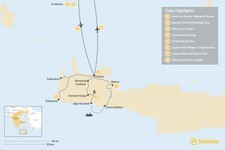 Chania itself will be the main base of your operations during your trip. It's the second largest city in Crete and one of the most scenic spots on an island with stiff competition for that title. 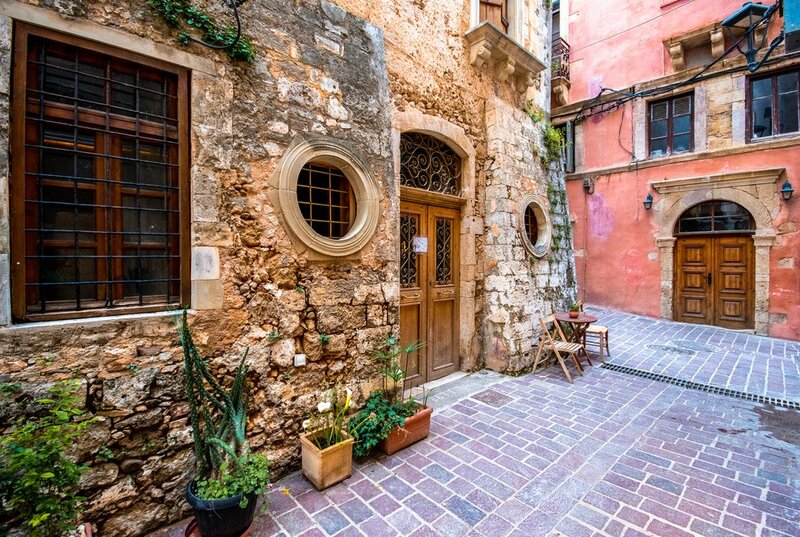 Life in this former Venetian city revolves around its charming 14th-century harbor, narrow streets with winding alleys, and colorful architecture influenced by past Ottoman and Egyptian eras. 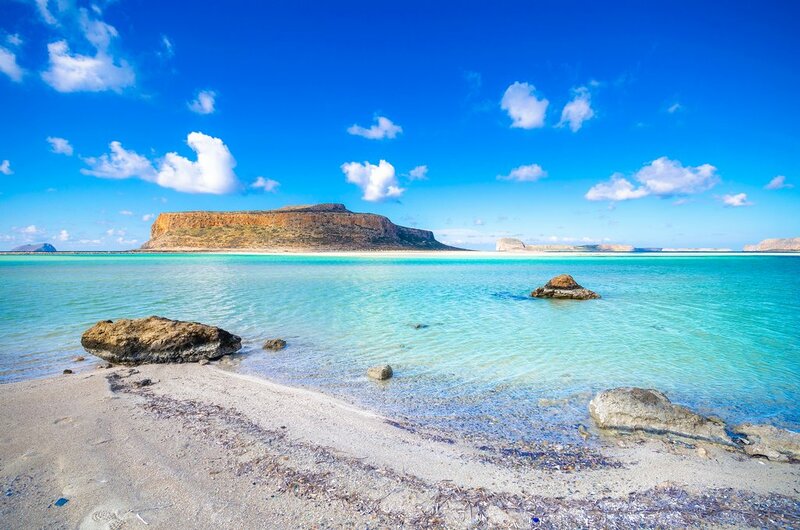 Depending on what time you arrive, wander around town or head for one of the western region's spectacular beaches such as Falassarna and Elafonissi. There are also plenty of deserted coves and quiet bays to enjoy total privacy. For dinner, wander around Chania's harbor and check out a slew of waterfront restaurants with a sunset view. After breakfast, you'll be picked up at your hotel nice and early to explore one of Crete's natural wonders. 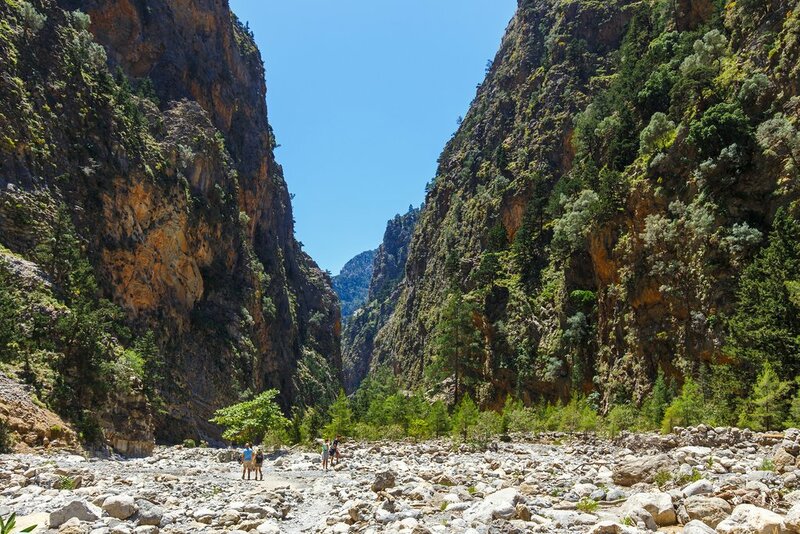 Set amidst the scenery of the White Mountains is the popular hike through Samaria Gorge. The trek takes approximately five hours to cover the gorge's approximately 11 miles (18 km), most of which are downhill and during which you'll spot flora and fauna of all kinds. As your trail nears its end, you'll descend a gentle slope down to the peaceful beach at Agia Roumeli on the turquoise Libyan Sea where you can take a dip and wash off the trail dust. There will be time to linger on the sand and relax before you wrap up the outing with a boat trip to Chora Sfakion, where your coach will be waiting to return you to your hotel in Chania. Make a full day of it and head to the western shore of Crete to visit Falassarna and Elafonissi, along with deserted coves and quiet bays for a more solitary experience. Stay closer to the city at petite Seitan Limania or on the expansive sands of Kiani. Head south to where the water is warmest and visit Agia Roumeli or Loutro Sfakion, coastal villages only accessible by foot or boat. Take the whole family to Almyrida, with clear, shallow waters and plenty of facilities to fulfill your needs. Today, you'll have a chance to hear some of the island's history firsthand during a guided tour through nearby Apokoronas. The region's villages—seven of them—are home to a number of sites including an Ottoman fort, historic churches, and a folklore museum. But most interesting will be the conversations you and your guide will have with the local residents of the area. The hillside ruins at ancient Aptera, one of the largest city-states in Crete until it was destroyed by an earthquake in the seventh century, including a Minoan tomb believed to date back to roughly the 13th century BCE. 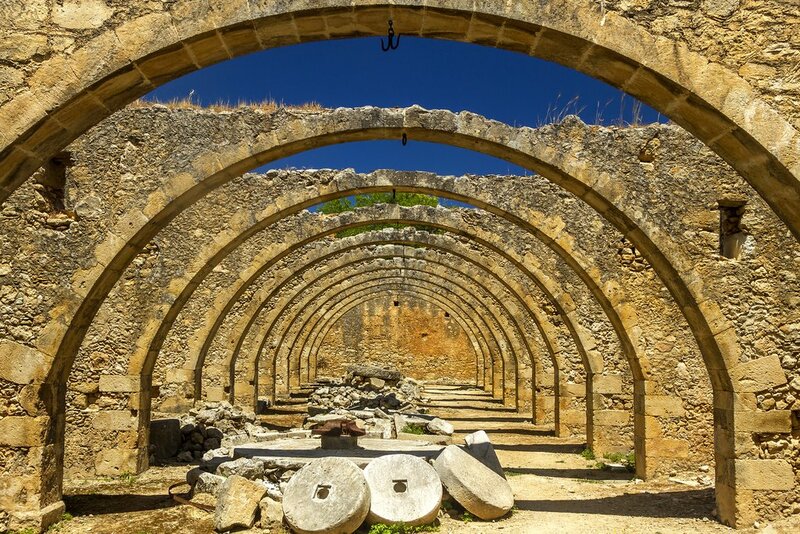 Two-aisled churches in Stilos village from the 13th and 15th centuries, along with a limestone fossil once believed to be a fossilized sea siren and a walk along the Kiliaris river to a Venetian watermill. A glassblowing factory in Kokkino Chorio. The old square of Gavolochori, where you can visit the women's cooperative and see hand-knit lace created using a Byzantine technique or the neighboring Folklore Museum of Gavalochori. 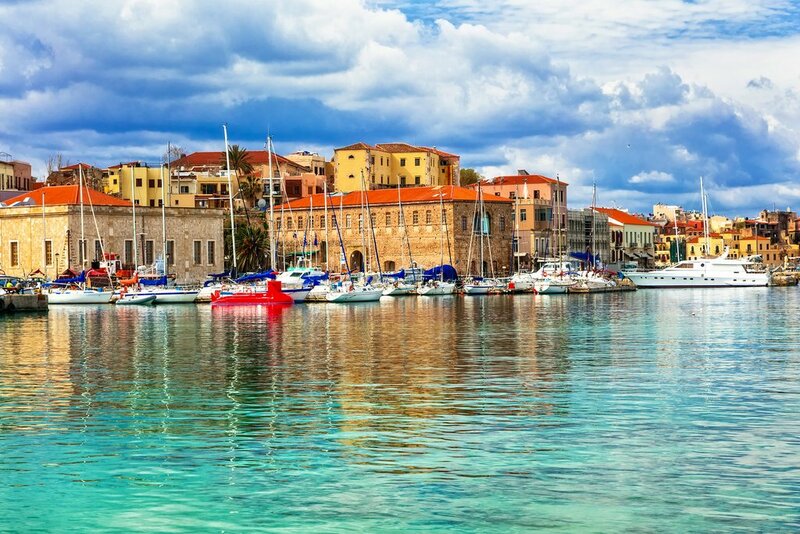 In the evening, check out Chania's waterfront districts of Halepa and Tabakaria. Wander among former tanneries and factories in these off-the-beaten-track parts of town, just past the end of the main promenade. Today, you'll get back to nature with a guided walking tour through the Cretan landscape. You'll walk through abandoned historic villages in Douliana and then travel toward the northern coast to the resort town of Almyrida. Here you'll have time for a well-earned swim and sunbathing session at the shallow beach, with plenty of facilities available for any post-hike needs. You'll also have earned some room for dessert. Head to the Venizelos Graves next to the Venetian church of Prophet Elias with panoramic views of Chania. Behind the graves is a local favorite café called Koukouvagia, which boasts a variety of house-made sweets and pastries with outdoor seating. 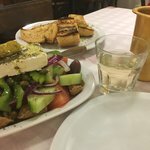 It's time to say farewell to Crete with one final breakfast in Chania. Take a sunrise stroll along the harbor or perhaps indulge in one more scoop of graviera cheese before you're transferred to the airport for your departure.